Just have visions of the supporters at the next match all wearing bear costumes. Do they not just get deducted 10 points? Probably still finish 2nd if thats the case. I would love to see them go down to the third division. Right catching up on the weekend news so Rangers died in a hotel room and Whitney Houston has gone in to administration. If they form a new company then I believe they need to reapply. If they just go in and out of administration then it's just 10 points and they'll continue on as Rangers F.C. Apparently Rangers died a slow and painful death . Are murray park and Ibrox owned by Rangers ?? Why didnt they do this when they were 15 points in front i wonder? First, there is still a bit to go before it actually happens - they could come to an arrangement with HMRC, for example. In fact, this could well be partly designed to bend HMRC to a softer repayment schedule than would have otherwise been offered. Second, we could be not that far behind them. Worst case scenario, if the latter happens, at least they go before us and, if there is any "helping out" beyond the norm for Rangers, the authorities are going to find it very difficult not to give us the same helping hand. Yes, I can't see how going into administration now is necessarily going to reduce the damage to them later on if the tax case goes against them. They'll still owe HMRC millions in missed tax payments. "WE ARE F****D" should cover it. If ever there was a time for Vlad to put a demented rant on the official website - now is it! MOTHERWELL in the champions league qualifiers? Cheers. Lets hope they form a new company then! I'm pretty sure Rangers will not go down to the third division though. I suspect this move will be some sort of ploy to escape the debts their due. 10 points and they'd still be in second! One thing we can be sure of, even if The SPL/SFA are duty bound to withhold any monies from Rangers to settle outstanding debts to other clubs, they are not going to distribute it any quicker than they have to, especially to Hearts. I'm pretty certain they'd like another chance to have a pop at Hearts over late wages etc andthey will be desperate not to be seen to deny Rangers anything before they absolutely have to. Taken from Sky Sports news comments section. The mind boggles. Anyone that thinks we're in trouble due to the EBT scheme is clearly not very clued up on them, it really wouldn't have been any good for any clubs outside of the Old Firm in Scotland as we weren't paying anywhere near the wages that the Old Firm were, in fact I think I'm correct in saying that only Craig Gordon would have been able to benefit from such a scheme as he was the highest earning player which could possibly have gained from this scheme. There are talks of Celtic doing the EBT scheme with some players too, but absolutely nowhere near to the extent that Rangers cheated used it. So Hearts are guaranteed (emergency change of SPL rules permitting) the Wallace money if Rangers enter administration?? So Craig Whyte has scuppered Rangers but is Hearts saviour??? I like that ! Could we take a few players and just forget the Wallace money? McCulloch and Broadfoot would be good additions. We've had 5 years of broken club crests, and doom and gloom about impending financial collapse, with every match report and interview focusing on the club's problems. Just sit back and enjoy this. We have two next season. Not if the Administrator sells off all of their first team squad to raise money, which is his principal objective. We are 6 behind Motherwell and have them this week. The Rangers Tax Case has been well ahead of the game on that, and they say no decision is imminent. It appears RFC have run out of money, quite aside from the tax case. Their Counsel will have had a nod from the judge that they are going to lose the case hence jumping before they are pushed. Can they sell players just now even if the window is shut or will the administrator have to wait until the end of the season? 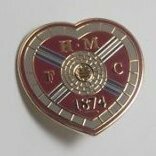 Mind you if they do go bust ill be sad to see them go only for the fact that its a good day out at Tynie when they come over and we pump them. Whether they keep their European Licence or not will depend if they can get out of Administration by the summer or not I would think. What does 2nd place get for Europe these days? Is it a CL qualifying place? If they re-form as a separate compnay they don't have a licence. Need to apply for one and cant play in Europe for 3 years after receipt of licence. Out of interest, what happens if Rangers dont appoint an adminstrator within 10 working days? This weekends match could be huge then! I cant stand Rangers and this hasnt exactly caught anyone by surprise. I can certainly forsee them ceasing to exist in their present form and reapplying for the league with some new name. If this was to happen I wonder if there may be an attempt from them to join the leagues down South instead of the foot of Scottish football (maybe being a little hopeful here). Not sure if this would be allowed to happen but maybe in light of the situation they would make an attempt (prospect of long term growth would be seen as greater). If that happened I could definitely see Celtic trying for a way out also. With no other club with a large following (on a similar scale) I think any chance they would have to attract better players would be stifled. This may open the door for other teams in the league to compete more than in the past. I know our situation isn't great but agree with the argument that if you actually have a chance to compete for trophies, crowds will improve in the league as a whole. Perhaps TV money would diminish but hopefully this could be counter balanced by increased attendance for other clubs. Maybe this is a more idealist viewpoint from myself (would love to get rid of the OF in Scotland) but would be nice to compete in a league where we actually had a chance to genuinely sustain a challenge on a consistent basis. Wrong - Secured creditors get first dabs (Close, CW and/or Ticketus), then preferred creditors (employees who haven't been paid), then unsecured creditors (everybody else). There is no football creditors rule in Scotland. I think the SPL have a rule whereby football debts in Scotland will be settled, if sufficient funds, from TV money due to Rangers. So we should get our money. Smith was well aware the **** was about to hit the fan. Would that not mean the shutters coming down for good? Insufficient funds to continue trading under any guise? Edited February 13, 2012 by Chester? This is terrible, awful stuff. I should be absolutely delirious, dancing and singing the death of this disgusting club while throwing streamers and doing cartwheels, but it's come as so much of a sudden shock that I'm speechless. Lets see how many fans they get now.